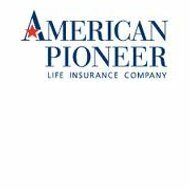 This American Pioneer Health Insurance Company Review explores Lake Mary, Florida-based American Pioneer Life Insurance Company. American Pioneer helps senior citizens to obtain health insurance products such as Medicare supplement and dental insurance. The company also sells Senior Tribute life insurance. Take a moment to compare your health insurance rates. You cannot control the direction health care costs are headed, but you can identify the lowest cost providers of health insurance. Enter your zip code to get fast, free health insurance quotes now! The company’s immediate parent is Universal American Corp., based in Rye Brook, New York. Both companies are ultimately owned by CVS Caremark Corporation of Woonsocket, Rhode Island. The company employs a small insurance agent sales force and uses an independent insurance agent and broker network throughout the United States to market and distribute its products and services. Interested independent health insurance brokers and agents may apply to sell the company’s insurance programs on the company website. Insurance agents may communicate with the company via secure portal. Brokers may also check on client status and commissions on the company’s website, or call the company toll-free at 800-538-1053 between the hours of 9:00 a.m. and 5:00 p.m. Eastern Time. The aging of the U.S. population continues, and American Pioneer Health Insurance’s potential insurance customer base increases each year. American Pioneer helps approximately 290,000 Medicare Advantage customers with fee-for-service (sold as “Today’s Options”), PPO, and HMO health care products. The company also sells supplemental Medicare insurance. In addition, the company sells annuity, life insurance, and burial insurance policies (sold as “Senior Solutions”). Sister companies sell hospitalization and disability insurance programs for self-employed customers throughout the United States. The company’s Medicare Advantage PPO was launched in several states in 2009, and continues to expand to additional states. The Medicare part D operations were sold in 2011 (the company had 1.9 million Medicare part D customers). The company markets cancer and critical illness coverage policies through its immediate parent company, Universal American Insurance. Universal American also owns American Progressive Insurance, Constitution Life, Marquette National, and Pyramid Life. The companies offer insurance products and services in 48 out of 50 states and the District of Columbia. Not all products are sold in every state, according to the company’s website. The company’s largest marketplace is in Texas. Approximately 20% of the company’s health insurance premiums are written in that state. The company was founded in 1961 and currently employs about 70 people in all locations. Universal American Corp., American Pioneer’s parent company, is a publicly owned company (New York Stock Exchange Symbol: UAM). The company reported sales of $5.69 billion at fiscal year-end 2010, and one-year sales growth of about 14.58%. The company’s net income of $187.68 million in 2010 grew about 33.77% year-to-year (2010 vs. 2009). The company’s market value is approximately $835.76 million. According to Dun & Bradstreet, the company is considered a low-risk vendor. In 2010, Universal American sold CHCS Services to Indian information technology company Patni Computer Systems. CHCS previously provided outsourced administrative services to managed care and insurers focused on the senior marketplace. Patni agreed to provide administrative services to UAM and American Pioneer for five years as part of the sales agreement terms. Take a minute now to compare your American Pioneer health insurance rates. Submit your home zip code to request fast and free health insurance quotes that can save you money now on health insurance premiums for your family and business! WE have long term care insurance with American Pioneer. We’ve had an $80 claim pending for almost a year. They don’t even send bills – we’ve given them our credit card. They claimed that it was rejected. We called our bank which maintains a record of all attempts to charge. They have never attempted to charge our card – they no longer write Long Term Care Insurance and we suspect that they want their policies to lapse. THIS CO. IS ONE OF THE WORSE CO. I EVER HAD TO DEAL WITH. IT TOOK ME FOREVER TO GET A REFUND CHECK THAT THEY OWED ME. THE SITUATION IS STILL GOING ON AFTER FOUR MONTHS. My personal experience has been terrible with this company. Mother had a policy and we have been waiting 9 months for her reimbursement check. You cannot get through to customer service, you cannot speak to a supervisor. The experience has been very bad. They claim they are researching where the claim is and never respond and it appears they are trying to “wait us out” – we are going to the Florida Board of Insurance next! My mother has a policy with APIC. Indeed, she had the policy for over two decades. We have been extremely pleased with service and the provision of benefits. Worst system I have ever come across. Tried faxing a claim to 3 different fax numbers, but all 3 keep failing. Customer Rep. was not helpful, did not even offer to look into the problem, just told me to keep trying, which I had for 2 weeks. He got all excited when I asked why I am having this problem with all 3 numbers. I had to tell him to calm down, that I was just trying to get some answers, which I did not get. Terrible, terrible all the way around. This message was edited because I typed in that I was attempting to email, but should read as faxing.